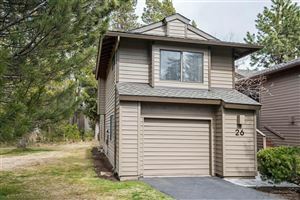 Sunriver is a resort community and a family vacation destination located just south of Bend Oregon in the foothills of the Cascade mountains. This small community is made up of a combination of permanent residents and vacationers looking to enjoy the beautiful surroundings. One of the most popular vacation spots in Oregon, Sunriver provides a host of activities including golf, tennis, pickleball, fishing, biking, hiking, horseback riding, rafting, kayaking, paddleboarding and much more. For those who enjoy the resort lifestyle, there are plenty of things to do and experience including a variety of restaurants, shopping, parks, and the Sunriver Resort. While primarily a summer vacation destination, due to its proximity to Mr. Bachelor, Sunriver is also popular with skiers and snowboarders during the winter season. In addition to the Resort amenities, Sunriver is also home to the SHARC Aquatic & Recreational Center which offers indoor and outdoor pools, a fitness center, basketball, winter tubing, disc golf and a rock wall at the park. Entry is available to Sunriver residents, guests, vacationers and the public. 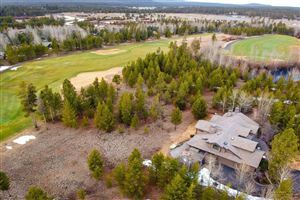 Sunriver is a small 3,300-acre unincorporated community with its own homeowner's association which oversees approximately 4,000 homes which include both permanent residences and vacation homes. Sunriver is heavily forested and gets an average snowfall of 44 inches per year. If you enjoy an environmentally friendly community with resort amenities, Sunriver may be the choice for you.